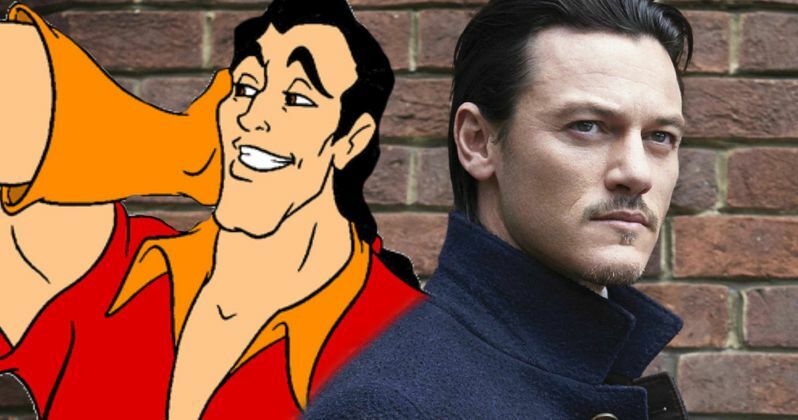 Disney has entered into negotiations with Luke Evans to play Gaston in their live action remake of Beauty and the Beast, alongside Emma Watson, who signed on to play Belle back in January. We reported last month that Disney had offered the Beast role to Ryan Gosling, but it isn't known if a deal was ever reached. In the original fairy tale, Gaston was the charming antagonist who tried to win over Belle, but when she ended up with the Beast, he lead an angry mob to kill him. Like the 1991 Disney animated adaptation, which is one of the select few animated movies to be nominated for a Best Picture Oscar, this live action Beauty and the Beast will also be a musical, although no further story details were given. The animated Beauty and the Beast grossed over $375 million worldwide and spawned a Broadway musical adaptation as well. This new Beauty and the Beast is just one of several live action fairy tale adaptations being set up at Disney, including Cinderella, which opens next week, The Jungle Book and Pete's Dragon, both of which are set for release next year.